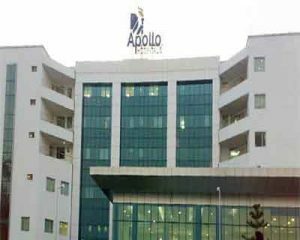 Hyderabad: Apollo Hospitals Group Managing Director Ms Suneeta Reddy on Wednesday opined that an enhancement in the medical allowance for salaried employees in line with inflation and a separate deduction in respect of preventive health checks would be desirable. Ayushman Bharat for the financially weaker section took centre stage in healthcare last year. However, the middle class is still at risk and the first step to universal health coverage would be to increase the deduction for medical insurance premium u/s 80D for self, family and dependent parents, Ms Suneeta said in a release while expressing her view on the Budget Expectations 2019. Declaration of a National Priority Status for Healthcare to support investment like subsidized infrastructure, tax holidays, monetary and fiscal incentives is hoped in the coming budget, she said we look forward to zero-rating of GST for the sector, or for normalization of the GST rates for services consumed by the health care service providers at 5 per cent. Reinstatement of weighted deduction under section 35AD of Income Tax Act, 1961, which would promote setting up greenfield healthcare projects, she said. Given the tremendous potential of Medical Value Tourism, we hope that the budget to be present tomorrow by the centrally, will show far-sightedness in exempting this income, thereby making “Heal in India” the new mantra, she said. A Healthcare Infrastructure Technology Upgradation Fund (HITUGF) that would provide subsidies for capital investment in upgradation of healthcare infrastructure is the need of the hour, she added.